Dr. Alexander Farivar is a surgeon based in Seattle, Washington. He has been working in the medical field for almost two decades. He has dealt with numerous cases of lung cancer, mesothelioma, and pleural diseases during his career. He has a vast knowledge of minimally invasive surgery and is also experienced in robot-assisted surgery. Dr. Farivar graduated from Boston University School of Medicine. Afterward, he completed a residency in general surgery at the University of Washington and a fellowship in thoracic surgery at the Brigham and Women's Hospital. Dr. Farivar is board-certified both in surgery and thoracic and cardiac surgery. One of the areas of interest he focused on during the past years is mesothelioma. He is one of the most reputable specialists who conduct a thorough research in this domain. He contributed to multiple studies and publications. Some of his works focus on topics like thrombosis and inflammation. Dr. Farivar has been listed among the top doctors by the Seattle Metropolitan Magazine. He is an active member of various medical associations including the American College of Chest Physicians, and the International Society of Heart and Lung Transplantation. 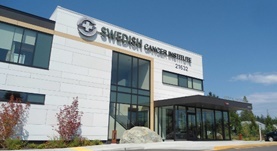 He is currently affiliated with the Swedish Cancer Institute in Seattle. Patients who want to benefit from his support can use one of the following insurances: Aetna, Humana, MultiPlan, Blue Shield of California, UnitedHealthcare, Coventry Health Care, Blue Cross of California, Health Net. Dr. Alexander Farivar has contributed to 4 publications. Crosstalk between Thrombosis and Inflammation: Thrombin Activation after Lung Reperfusion. Farivar AS, McCourtie AS, Delgado MF, MacKinnon-Patterson B, Mulligan MS. Bayer Research Scientific Committee. Phoenix, AZ. May 20, 2005. The Anti-inflammatory Properties of Mycophenelate Mofetil in Acute Oxidative Lung Injury. Farivar AS, MacKinnon-Patterson B, Woolley SM, Mulligan MS. International Society for Heart and Lung Transplantation. Philadelphia, PA. April, 2005. The Role of p38 in Experimental Obliterative Airway Disease in Rats. The International Society of Heart and Lung Transplantation. Farivar AS, MacKinnon-Patterson B, Woolley SM, Fraga C, Thomas R, Mulligan MS.